We are the Best of The Best when it comes to Ice Cream Fun in Arizona! With two very unique vintage top of the line ice cream trucks and one superhero-themed truck, we aim to please all ages. 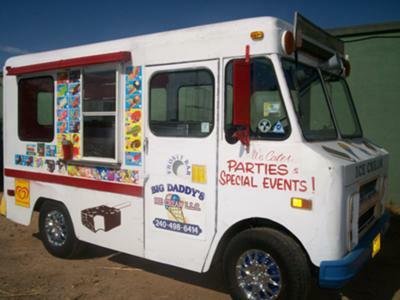 Visit our website at www.BigDaddysIceCream.com or call us today at 480-240-0869 to receive a free quote on our catering services for your next party or special event. You Bring The Cake, We'll Bring The Ice Cream! Big Daddy's Ice Cream!